If you have ever seen a near and dear one have an epileptic seizure you would know how scary it can be. People who do not understand the science behind it cannot be blamed for mistaking it for divine intervention or an evil possession. However, if one were to read up on epilepsy, they would find that it is a simple malfunctioning of the brain that triggers an epileptic seizure. When there is an abrupt hike in the neuro-electrical activity, it causes a disruption in the way brain cells interacts with each other causing a seizure. There are several types of epileptic seizures that can be distinguished based on the type of behavior exhibited by the patient while having a seizure. Focal Seizures – These are seizures that occur when only one part of the brain is malfunctioning. Retained Awareness – A focal seizure in which the patient continues to be conscious and aware of what is happening. Petit Mal Seizure – A generalized seizure which causes no convulsions but causes loss of consciousness such that the person looks lost for a brief period. They may also exhibit repetitive motion due to loss of control over muscles. Atonic Seizures – A generalized seizure in which there is an abrupt loss of consciousness that could cause a fall. While it is important for patients suffering from epilepsy to take their prescribed medication regularly, it does not hurt if they also took some natural remedies that would enhance the effect of the medication. One such natural compound that has been in the limelight recently is Curcumin. Most people have no idea what curcumin is as it is not heard of in common parlance. However, curcumin is the silent superstar that hides behind the commonly found spice Turmeric. Curcumin is a polyphenol that possesses a truckload of therapeutic properties that are known to help manage a wide spectrum of medical conditions. Curcumin can help in preventing seizures if it is administered regularly. This is because it has antioxidant properties that reduce the oxidative stress which in turn helps in protecting the brain cells from getting damaged. Curcumin also helps in preventing cognitive damage caused by repeated seizures. Curcumin protects the brain from seizure-related damage by regulating the amount of nitric oxide produced. Nitric oxide is known to induce neuro-toxicity and hence a reduction in the amount of nitric oxide can help in preventing the brain from severe damage. Curcumin helps in up-regulating the activity of neurotransmitters like Gaba-amino butyric acid, glutamate, serotonin, adrenaline, and dopamine. This is the same effect as exhibited by anti-epilepsy medication. Thus, curcumin can help alleviate seizure-related psychological issues like anxiety and depression. For many people who experience seizures, the underlying triggers are lack of sleep and stress. By increasing the production of mood elevating neurotransmitters like serotonin and dopamine, curcumin helps in relaxing the body and allowing a person to sleep better. Additionally, by lowering the blood sugar level, curcumin helps in gently signaling the body to sleep. The most common side effect of anti-seizure medication is triggering depression and suicidal tendencies. Regular administration of curcumin can help in toning down the severity of these side effects considerably. Some other side effects of anti-seizure medication are gastrointestinal troubles, liver damage, and skin allergies. Sodium valproate is one of the most common anti-seizure drugs and it can cause liver toxicity. Curcumin helps to protect the liver while enhancing the activity of sodium valproate. If you or a loved one suffers from epileptic seizures, then it is worthwhile to invest in a good quality curcumin supplement that will help you manage your condition better and also improve your chances of getting rid of this disease altogether. Bagdara Farms is a unique venture that focuses on cultivating high quality, organic curcumin that is then used to create specialized supplements for a variety of medical conditions. 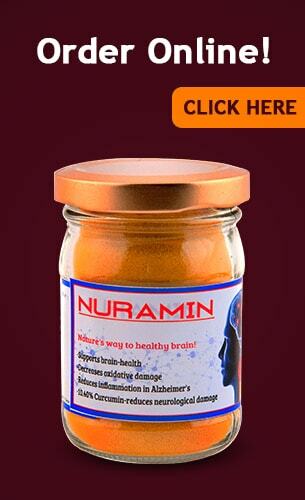 Nuramin is one such supplement that is created especially for those who suffer from neurological maladies. The curcumin grown at Bagdara has no traces of chemical residues since synthetic fertilizers or pesticides are not used while growing it. Nuramin is thus appropriate for all age groups and can be consumed daily without any fear of side-effects. 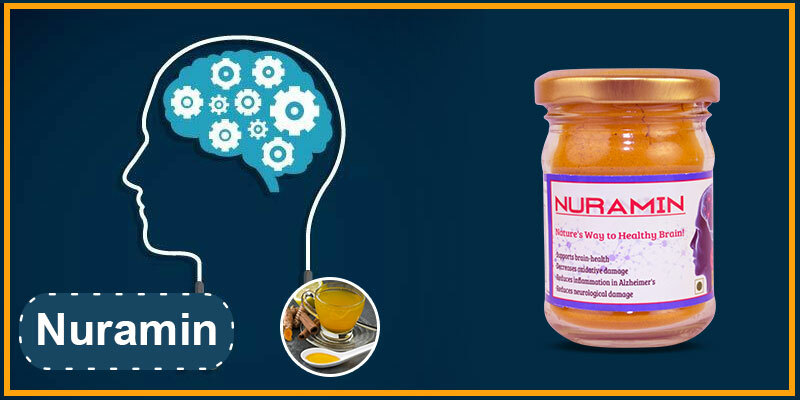 Order your jar of Nuramin online today and fight epilepsy tooth and nail!